In a world where people strive to be more than ordinary in everything they do, how do you stand out? How do you make yourself the most memorable person with the most salient pitch out there? What tools do you use that you already have, and what tools can you develop further? 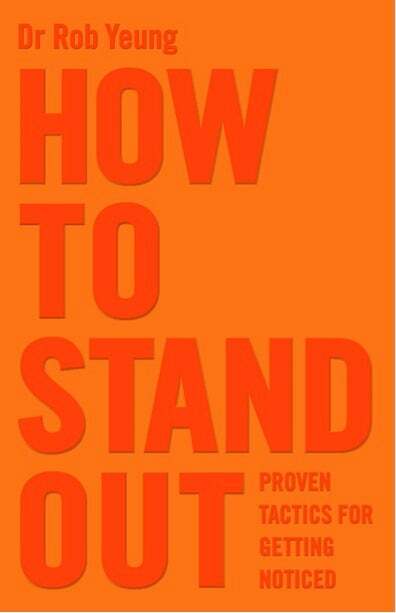 Dr. Yeung has executed a study of how people stand out, then written a book that can assist even the shyest wallflower in getting noticed. There are tasks and ideas that push you out of your comfort zone, which include not telling people who are anxious to calm down. Using separate chapters, How to Stand Out breaks down different methods that can be applied depending on your persona. This is an excellent book for entrepreneurs trying to shed light on a new venture, people in consumer-facing positions like sales, and pretty much anyone who is looking for a confidence boost to get to the next goal level.